DANFORTH AVENUE was named after ASA DANFORTH, an American who was commissioned in 1799 to lay out and cut the avenue, but didn’t actually build it. That was left to the Don and Danforth Plank Road Company, which finished the job in 1851, connecting the street to Broadview Avenue. With the Don River Valley a westward barrier, the Danforth was rather remote. It was a country road of fields, market gardens, brickyards, houses here and there, churches, hotels and roadhouses, and some industry along the Don’s east bank. Construction of the Prince Edward Viaduct, which opened in 1919, changed all that. 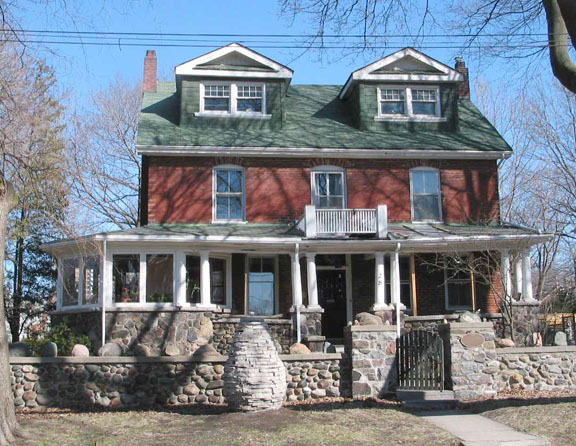 Nowadays, the Danforth splits two upscale neighbourhoods – Riverdale on the southside, and Playter Estates to the north. 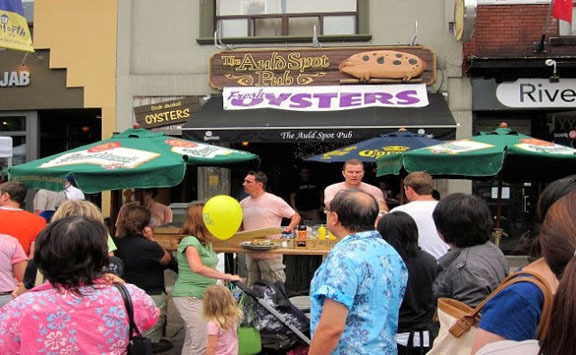 It’s a multi-cultural avenue, with Greektown (and its famous Taste of the Danforth) in the centre. 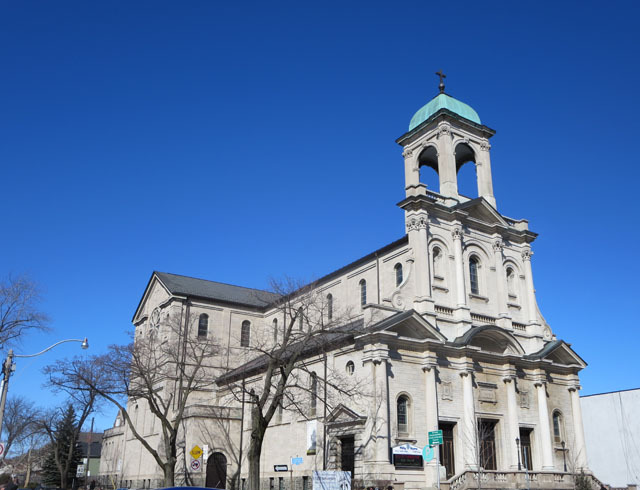 There are stalwart churches of many denominations, a large mosque, Carrot Common, taverns and bars of every description, fine dining restaurants, the mansions of Playter Estates, and the Danforth Music Hall. The Bloor-Danforth subway line follows the Danforth with multiple stops, from BROADVIEW eastward. 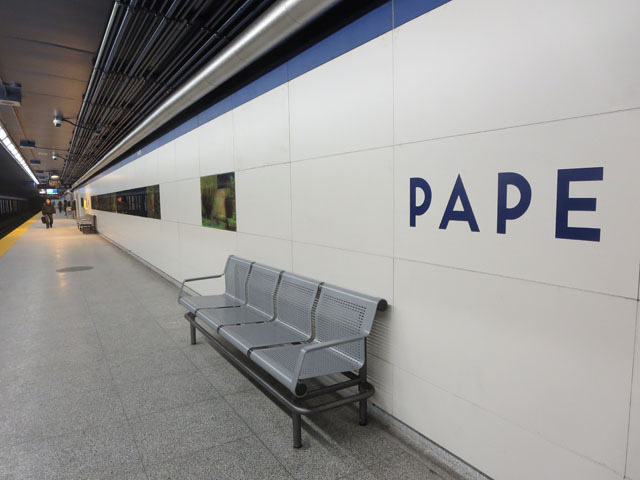 PAPE Station is at the centre of Greektown. 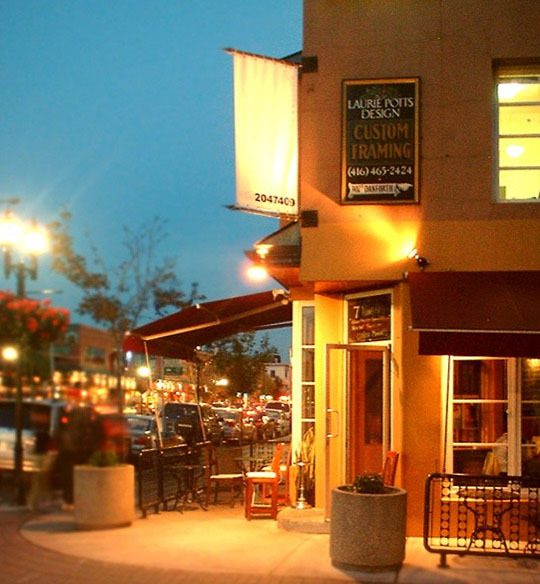 This entry was posted in Neighbourhoods and tagged Canada, Ontario, The Danforth Toronto, Toronto. Bookmark the permalink.